Welcome to the most exclusive club in the world. The Novo Club. Novo is Latin for “change.” Our members prefer the word “shift” though. Gavin Stanton is the billionaire CEO of a Boston biotech firm. He’s also a werewolf, the son of a large, ancient family with roots in the British aristocracy. His work is his life. But then he feels the Beat—an irresistible urge to mate with Lilah, a beautiful human who inflames his passions like no other—and he abandons everything he thought he knew in his need to claim her. Lilah Murphy is broke and desperate. All she wants is a job to support herself, her sister, and her ailing mother. The last thing she needs is to get involved with a rich, powerful guy who would discard her after a few hot nights together and get her fired at her new, high-paying job. But she, too, feels the Beat. She hears him in her mind, feels him in her soul, and the urge to answer the ancient call is undeniable. Is she strong enough to embrace his secrets—and her own? 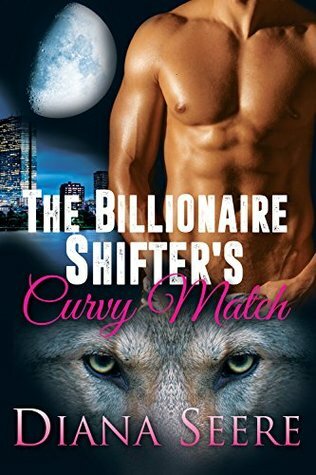 The Billionaire Shifter’s Club is a 6-book series by Diana Seere, the paranormal pen name for two New York Times andUSA Today bestselling romantic comedy authors. All six books (standalones *within* a series) are now exclusively available in Amazon’s Kindle Unlimited program. 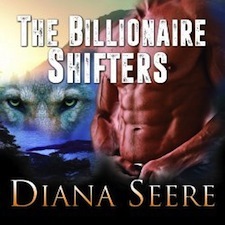 DIANA SEERE was raised by wolves in the forests outside Boston and San Francisco. The only time she spends in packs these days is at romance writing conventions. In truth, Diana is two New York Times and USA Today bestselling authors who decided to write shifter romance and have more fun.